In the Full Depth Reclamation process, the in place asphalt pavement and part of the underlying soil base material are crushed and blended with asphalt emulsions, resulting in a recycled, stabilized pavement base. The base is then shaped and compacted as needed and new pavement is placed on top. FDR is a process that can correct performance problems in existing soil bases or pavement structures and create structurally sound bases for future highways. Hot In Place Recycling uses a paving train that first heats or mills the existing pavement surface. The materials and rejuvenators are then mixed in a pug mill. The process then places the pavement using conventional paving equipment. With this method 100% recycling of the in place material is possible. All work can be done on site by the paving train with little or no material being transported. 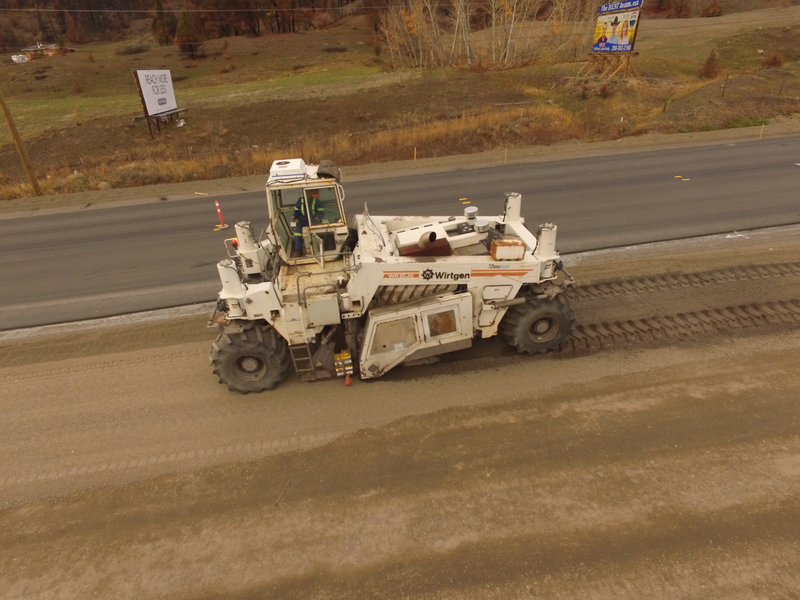 Additionally, the roadway’s grade and crown can be re-profiled, correcting existing deficiencies as a part of the Hot In Place process instead of requiring the additional step for placing a leveling course as is generally done in conventional paving. Hot plant recycling uses Reclaimed Asphalt Pavement (RAP) material that is blended with virgin material in a Hot Mix Asphalt (HA) plant. Paving mixtures containing 15 to 30 percent RAP are commonplace. Currently, thirty three percent of all asphalt that is removed from highways is recycled back into new pavement. At our Dawson Creek location We have a large selection of products and can also custom crush for specific projects. Contact them here.